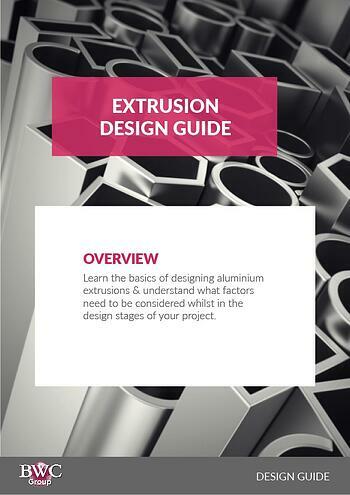 There are many reasons as to why you would want to join aluminium extrusions to each other, sometimes you will have to assemble two or more component parts to produce a more complex part. There are also a number of techniques you can use to join them, all of which will be specific to the performance requirements of the extruded profile. 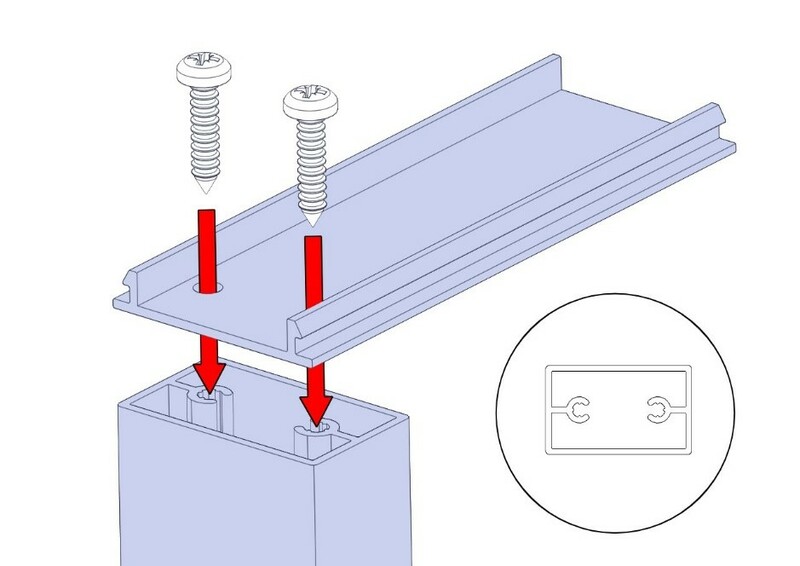 One of the most commonly used features in extrusion design is a screw port. This can be used with self-tapping screws, or can be threaded to take a machine screw. Provides a strong and robust fix, and allows for disassembly. Consideration should be given to allow clearance for the screw head. Another common feature included in many extrusions is a nut track. A channel is designed to fit a nut or bolt head tightly between the flats, preventing the nut or bolt head from spinning. Multiple fasteners can be used in one track, and positioned freely. 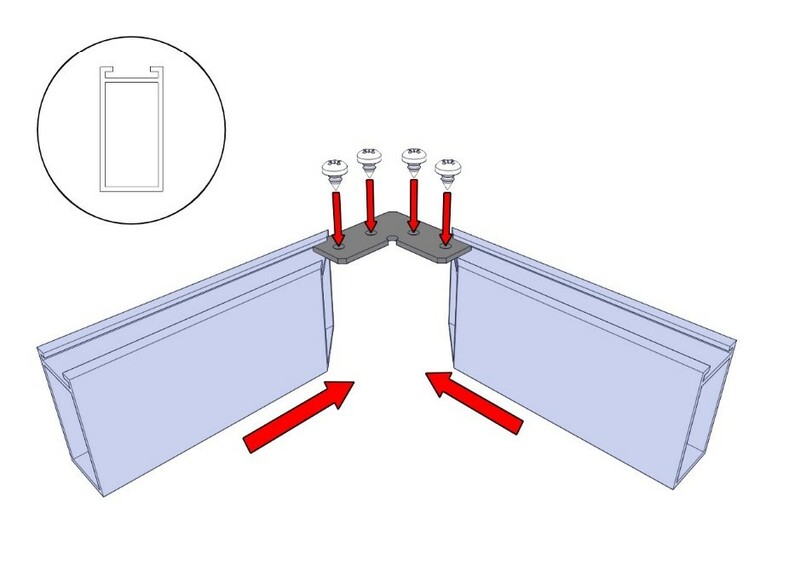 A quick and easy way to secure two extrusions together is a snap fit. This is can be used as a decorative feature to hide unsightly screw heads. It requires no foreign fixings which simplifies recycling. The lead-in barbs allow the top extrusion to slide and clip over the bottom extrusion, and the natural flex in the aluminium provides a positive snap. Be aware however that a barb with no reverse chamfer will create a permanent snap-fit. 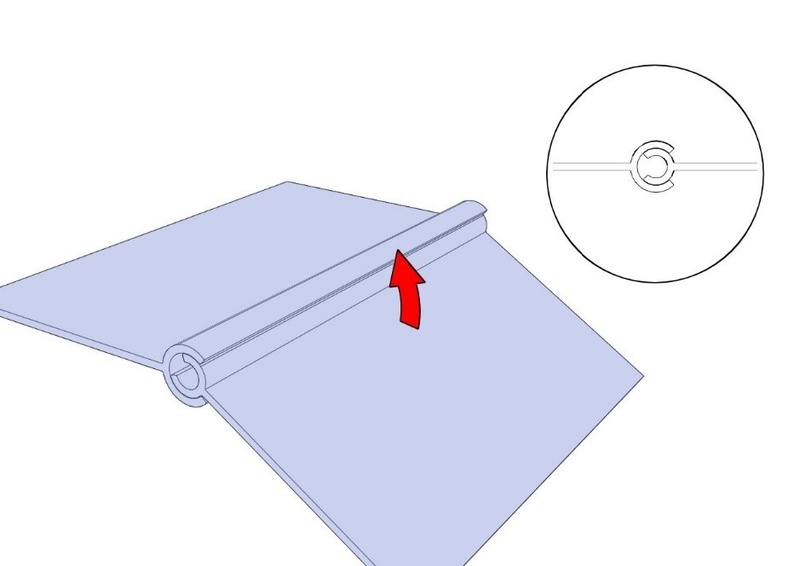 Fixing two identical extrusions at an angle can be achieved with the use of a corner cleat. 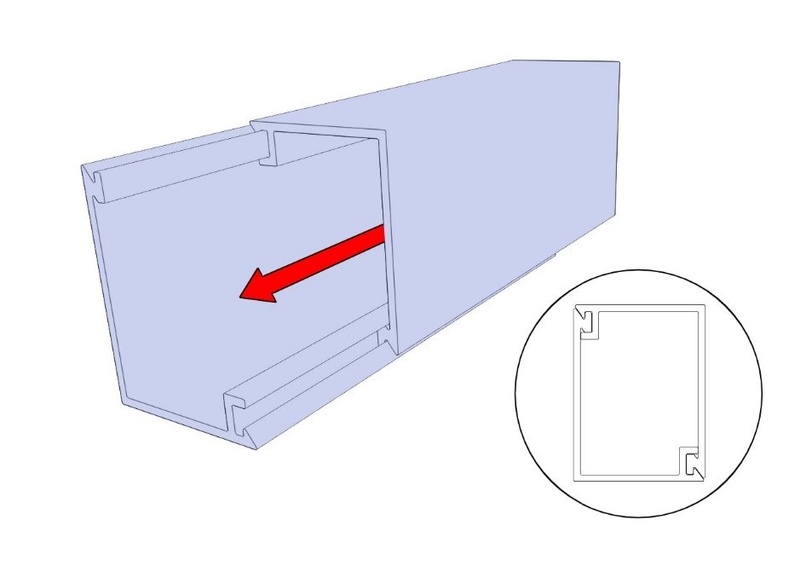 The extrusion has a channel which accepts a cleat, often made of sheet steel or another aluminium profile. The cleat can have small barbs on each side which cut into the aluminium creating a friction fit, or alternatively screws can be added to fix the cleat into position. 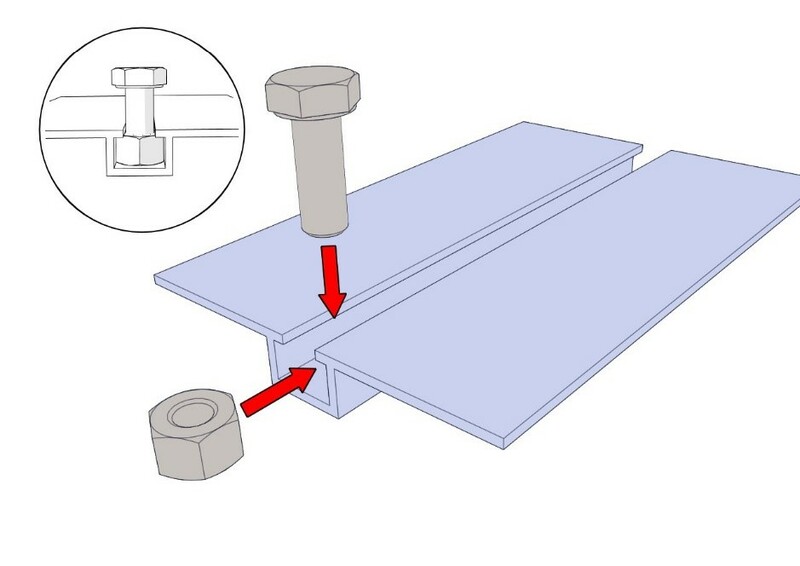 A hinge is a great way to fix two aluminium profiles together whilst allowing movement. This can be achieved in many ways, using two cylindrical features. The design below utilises a screw port, allowing a screw and washer to be fixed, preventing longitudinal movement. Very simple and effective, interlocking two extrusion profiles allows for a strong and quick fix. This can be achieved by sliding one feature over the other. 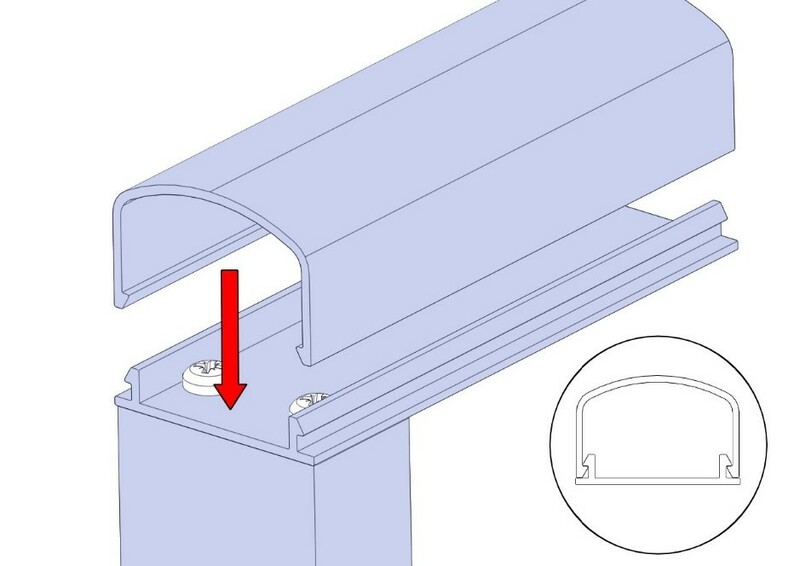 You may notice that the extrusion below has both the male and female feature in the same profile, which means the same extrusion can be used for base and lid. Be aware however that tis requires sliding its entire length, so may not be suitable for use in confined spaces.